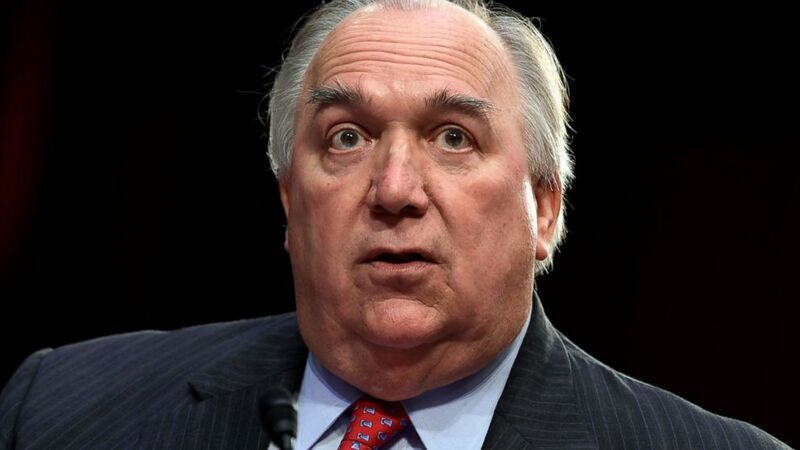 The chairwoman of Michigan State University’s Board of Trustees says embattled interim school president John Engler “has a decision to make” in the wake of his latest comments about victims of serial sexual abuser Larry Nassar. Dianne Byrum told The Associated Press she had a “frank” conversation with Engler Wednesday. She stopped short of confirming that she asked him to resign, but said the board is poised to appoint a new interim president at a Thursday meeting. She said she had not yet heard back from Engler. Byrum said Engler continues to “open wounds for survivors” and hamper the university’s efforts to regain trust and credibility. A Michigan State University trustee says the board will seek to oust interim school President John Engler if he doesn’t resign amid criticism of his handling of the fallout around disgraced ex-sports medicine doctor Larry Nassar. Mosallam, a Democrat, also said he believes “the votes are there” to get rid of Engler. The board will hold a special meeting Thursday in East Lansing. Engler has been criticized for his comments about women sexually assaulted by Nassar. The AP left messages Thursday seeking comment from Engler, who was hired last February after following the January 2018 resignation of president Lou Anna Simon. Michigan State University’s board has called a special meeting amid renewed criticism of interim President John Engler’s handling of the fallout around disgraced ex-sports medicine doctor Larry Nassar. The East Lansing school says “a personnel action” will be discussed Thursday. Trustee Brian Mosallam said Wednesday on Twitter that “JOHN ENGLER’S REIGN OF TERROR IS OVER.” His tweet followed a post by fellow Democrat and trustee Dianne Byrum announcing Thursday’s meeting. Engler, Michigan’s Republican governor from 1991 through 2002, was hired by trustees last February after the previous president resigned amid fallout from the Nassar scandal.